Laminate flooring is an excellent and popular alternative to the premier pricing of hardwood flooring. Laminate flooring provides a low-maintenance solution with the added beauty of natural wood grains. At PRO! Flooring Brokers our Denver laminate flooring selections capture the natural beauty of wood grains with the durability of low-maintenance design. Our sub-flooring specialty Floor Muffler is another popular choice due to its sound reduction qualities. One of the greatest benefits of laminate flooring is that it looks nearly identical to hardwood flooring. The top of the line laminates are so convincing that only a saw or your wallet can tell the difference. Try it out this test and see if you can spot laminate from the hardwood. 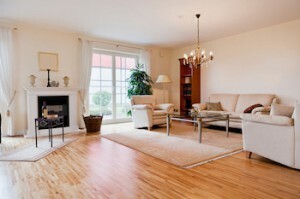 If you can’t then consider laminate flooring for your home or office needs. Being economic and durable are not everything when considering the best option for flooring you home or office. Sometimes you need the luster and shine of hardwood flooring or the feeling of plush carpet flooring. And like any flooring option, laminate flooring has drawbacks. For example, laminate flooring can at times look “false” or “drawn. This is typical of the very low end of these product lines and there are those which are nearly indistinguishable from real hardwood. Similar to stained wood, laminate flooring can fade over time, especially if it is subjected to direct sunlight. This makes it difficult to match color should you wish to replace only a section of flooring. All of our Denver laminate installation processes begins with a tour of our showroom. 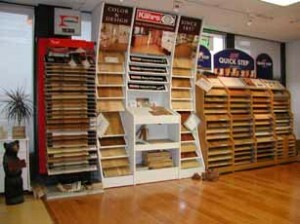 You can compare select laminate flooring with pricing and ask our PRO! Flooring sales team any questions along the way. If you have existing laminate flooring you’d like us to match, we’re more than happy to meet you on-site to accurately complete your new floor. Once we’ve found the right laminate to cover your living space, we can schedule your complimentary on-site measuring appointment. This ensures an accurate measurement before installation and gives our team an idea of what to expect before installing your new floor. We provide professional laminate flooring installation in Denver, CO and surrounding areas! Your new laminate flooring will be delivered at least five days before installation to begin acclimating to its new environment. Our expert laminate installation team will begin with mapping out the best strategy for installing your new floor. The finished product is a beautiful new surface safe and durable for all members of your family, including your furry friends.